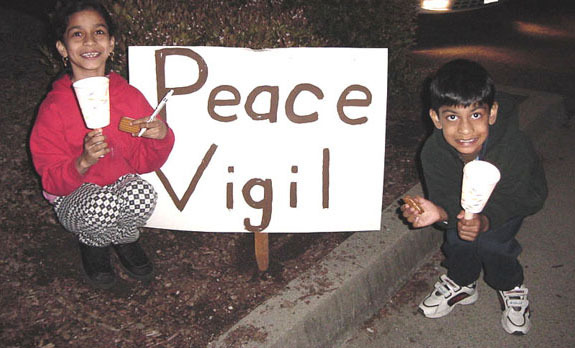 Milpitas: The American Muslim Alliance (AMA), in collaboration with the Pakistan American Democratic Forum (PADF), organized a peace vigil on March 16 at the Cordoze Park, Milpitas, CA. 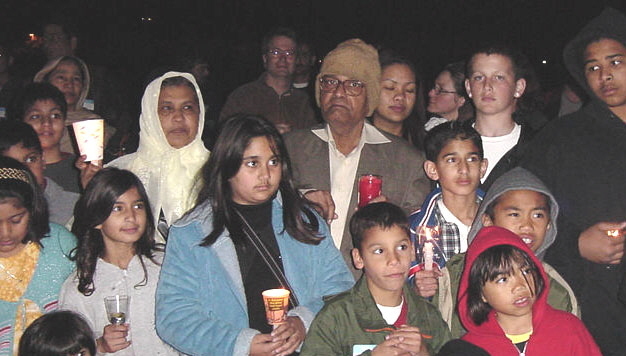 The candle light vigil, attended by about 125 people on a wet and cold night, was part of a global anti-war campaign initiated by the Move On Peace Group. 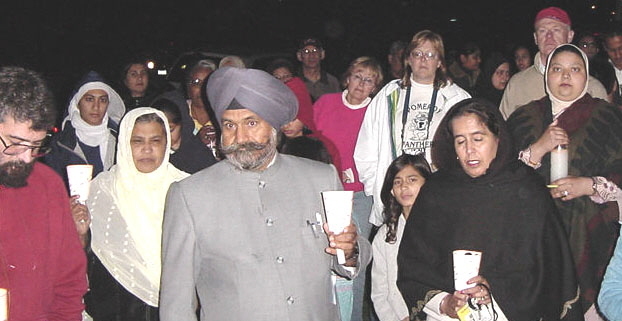 The hour-long vigil was attended by members of the Buddhist, Christian, Hindu, Jewish, Muslim and Sikh communities. 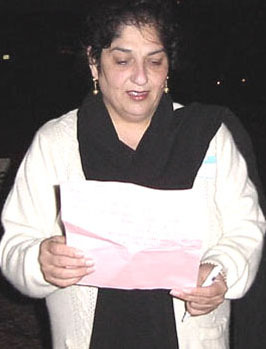 Ms. Samina Faheem, AMA National Coordinator and the MC of the vigil, (seen in the picture) recited Rumi’s peace poetry. Ms. Zeby Mohsin, a local community activist, presented a vote of thanks. Imam Tahir of San Jose Islamic Center began the vigil with a benediction. According to Move On, 6854 peace vigils were held in 140 countries.